BURNABY, BC – Steamworks Brewery has announced the addition of a new beer – one that has already captured two impressive brewing awards – to its core line-up. 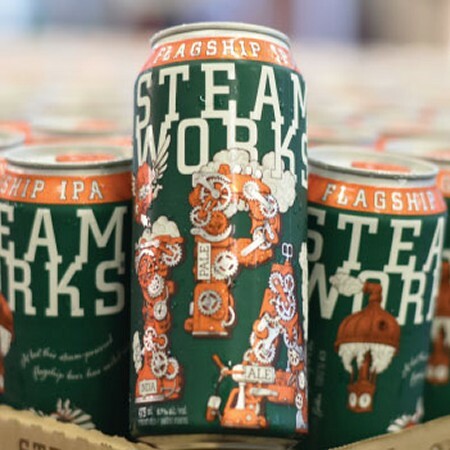 As a brewery well known for its speciality IPAs, we felt it was high time Steamworks come out with a core IPA. Trial brews of Flagship IPA began over a year ago so that we could fine tune every aspect of the beer. After scale up to a full production brew, I couldn’t be happier with the result. Flagship IPA has a huge tropical fruit aroma that gives way to a juicy flavour and a balanced, soft bitterness and mouthfeel and a nice, dry finish. I’m very proud of our brewing team for making this best in show winning beer and can’t wait for people to try it. Flagship IPA is available now on draught at select bars and restaurants, and in bottle 6-packs and the latest edition of the Steamworks Tall-Can Mash-Up 8 pack sampler at liquor stores throughout British Columbia.